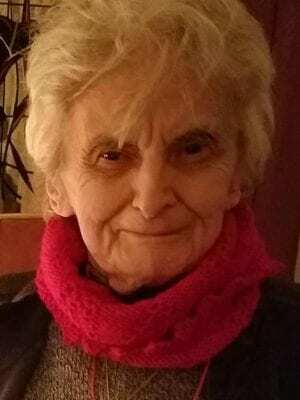 Rose Marie Novak, 90, of West Orange, New Jersey passed away peacefully on Thursday, September 13, 2018. Rose Marie was born on February 9, 1928 in Irvington, New Jersey. She was the daughter of the late Mr. and Mrs. William and Mildred (nee Polan) Podolak. Rose Marie was an avid gardener and loved spending time outside. She was an excellent cook and enjoyed trips to many eateries with her daughter. Rose Marie was predeceased by her husband, Edward J. Novak. She was the cherished mother of Debra Novak. In addition, she is the loving aunt of Mary Podolak (Chuck Bins), Alice Podolak, Margaret Podolak (Jock Jerrett), Peggy Ann Podolak (David Secunda), William Podolak (Pam), Diane Freda (Jerry), Joan Zimmermann, and Sandy Monaco (Sam) and great-aunt of Henry, Danika, Jerry, Mark, Zachary, Cassie and Luke. A visitation will be held on Saturday from 9:30 to 10:30 a.m. at Bradley, Haeberle & Barth Funeral Home, 1100 Pine Avenue, Union, NJ 07083 with a prayer service starting at 10:30 a.m. in the funeral home. In lieu of flowers, donations can be made to the Vietnam Veterans of America, 8719 Colesville Road, Suite 100, Silver Spring, MD 20910.